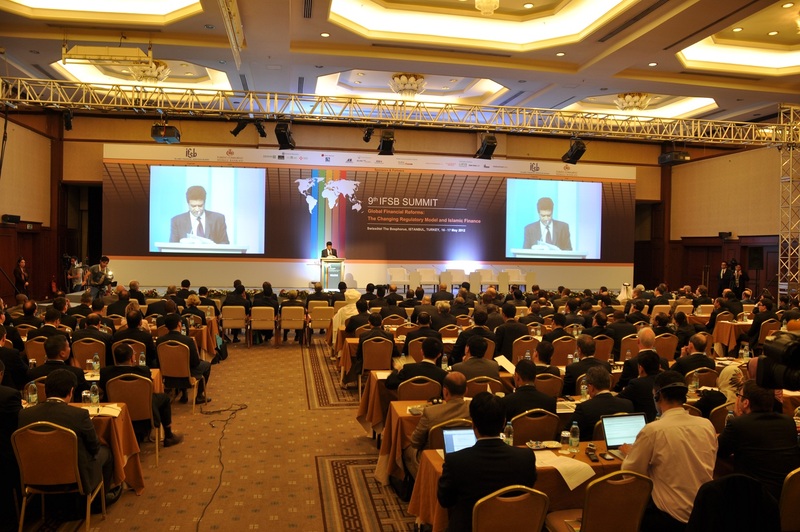 The Ninth Islamic Financial Services Board (IFSB) Summit was held on 16-17 May 2012 in Istanbul, Turkey. 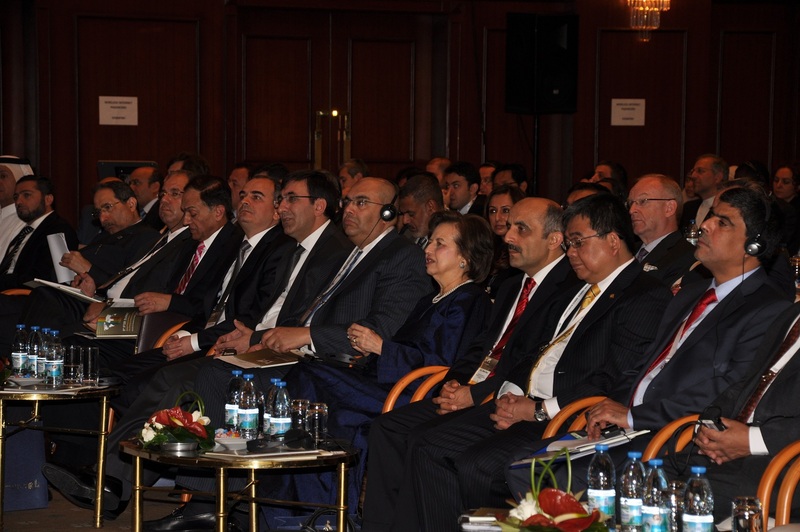 The Summit was hosted by the Central Bank of the Republic of Turkey. The one and a half day Summit brought together an experienced international group of chairpersons and speakers, with an estimated audience of over 200 delegates from all sectors of the financial services industry across the globe. The SESRIC was represented at the Summit by Dr. Savas Alpay, Director-General, Mr. Nabil Mohammed Dabour, Director of Social and Economic Research, and Researchers Dr. Kenan Bagci and Mr. Nadi Serhan Aydin. Themed as “Global Financial Reforms: The Changing Regulatory Model and Islamic Finance”, the 9th IFSB Summit addressed a broad range of regulatory issues surrounding the Islamic finance industry, including the international regulatory initiatives to enhance global financial stability, impact of international regulatory initiatives on the Islamic financial services industry, regulatory harmonisation and cross-border linkages in Islamic finance, global financial infrastructure of Islamic finance, the prospects for the Islamic financial services industry in the new global regulatory order. The Summit sought to understand whether the recent reforms in global financial regulation structure and prudential standards had equally equipped the Islamic financial services industry in addressing its future challenges, and aimed to discuss and identify the priority areas in the prudential regulation of Islamic finance that might need focus and attention by regulators and market players alike. 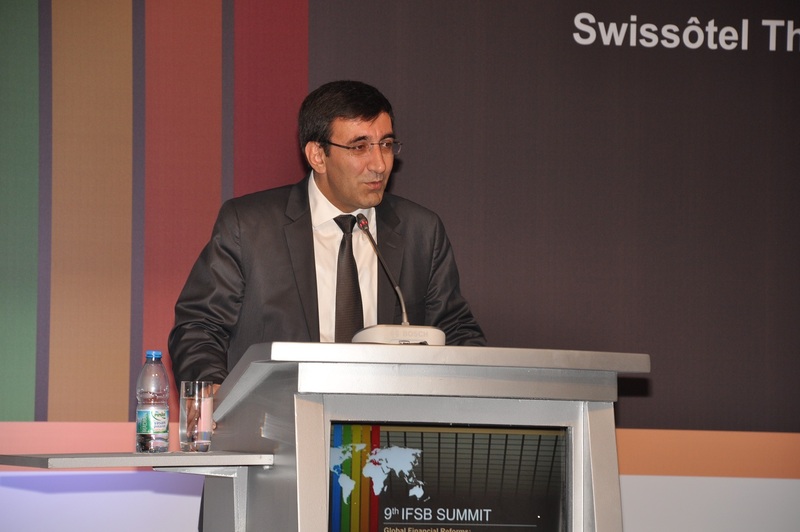 In his welcoming address, Mr. Jaseem Ahmed, Secretary-General of the IFSB, said that despite the signs of recovery, the downside risks to the global economy remained. He stated that the changing regulatory environment, including the new Basel rules for capital adequacy, dubbed ‘Basel III’, had implications for the Islamic finance industry that were worth considering. According to Mr. Jaseem, although the Islamic financial institutions could not escape from the crisis, they were much more resilient to the abrupt shocks. Having noted that the inadequate risk management capabilities of the Islamic financial institutions, lack of industry’s human capital accumulation, and other problems relating to the capital structure and liquidity of Islamic banks continued to hinder the development of the industry, the Secretary-General enlightened the participants on the work being conducted at the IFSB to adapt global regulatory changes for the Islamic financial services industry. In this context, Mr. Ahmed featured the key points of the IFSB’s Strategic Performance Plan that had been recently approved by the IFSB Council, under which a roadmap had been developed to engage with the stakeholders for the further development of Islamic finance. 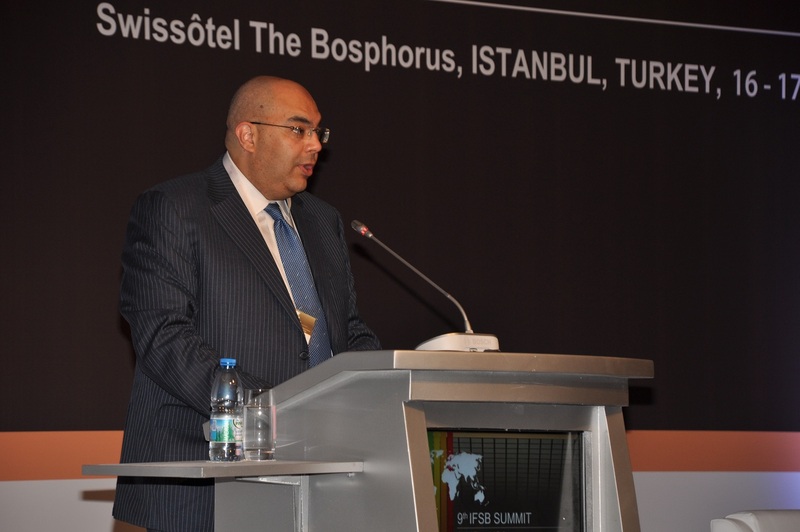 He also informed the participants about various strategic partnerships made by the IFSB with different stakeholders, including the cooperation framework set up between the SESRIC and the IFSB prior to the Summit. In that regard, “the pursuit of financial stability”, said Mr. Jaseem, “does not however solely depend on regulatory development and prudential standards”. “It depends also on collaboration and cooperation mechanisms that help all stakeholders towards achieving the common goals of a sound and sustainable financial services industry”. 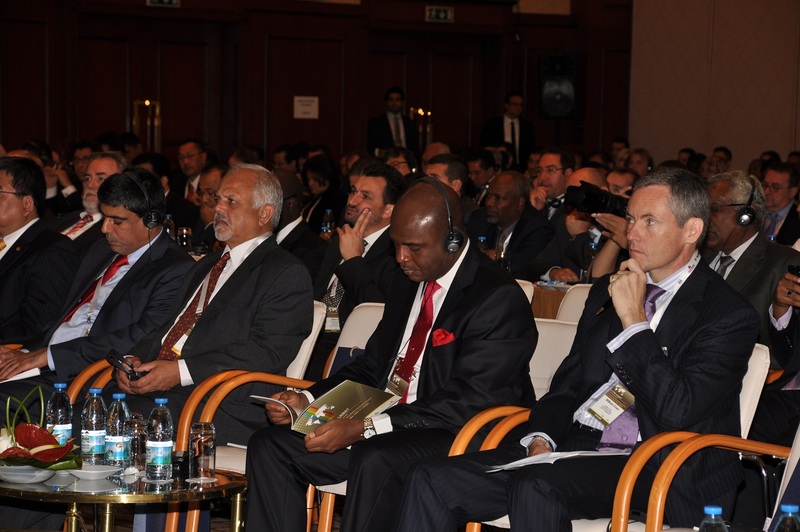 The Summit was preceded by side events on 15 May 2012, namely the Turkey and Malaysia Country Showcases and a Special Session on Promoting Financial Inclusion through Islamic Microfinance.